The outbreak of the Civil War must have been as traumatic for Sanders as it was for other Southern born men serving in the Federal Army, but we have only one account of his thoughts at the time. In the memoirs of E. Porter Alexander ( Fighting for the Confederacy, edited by Gary Gallagher, UNC Press, p.28), Alexander states that he met Sanders in San Francisco while both were still in the Army and that they had numerous discussions about the political situation. “Sanders was completely Southern in his views,” he stated, “more so I think than any other Southern officer in the army with whom I met during…the initiation of hostilities.” The two parted, both expecting to renew their acquaintances as they offered their services to the Confederacy. Today we can only wonder with Alexander why Sanders changed his views so completely. Sanders’ first assignment during the Civil War must have been frustrating for one so accustomed to active service—he was assigned to the defenses of Washington as Captain of the 6th US Cavalry. He soon saw action, however, with McClellan during the Peninsula Campaign. At Williamsburg, Sanders was cited for bravery in protecting the retreating Federals by leading two cavalry companies against the advancing Confederates. He once again was commended for his actions in the Antietam Campaign where he was in command of the 6th U.S. Cavalry regiment. Shortly after the Antietam Campaign, Sanders was given sick leave. No details of the nature of this illness have been discovered. Upon his return he was promoted to Colonel, reassigned to the Western Theater and given command of the 5th Kentucky Cavalry. When Sanders arrived in the west he was given cavalry assignments by Gen. Ambrose E. Burnside, commanding the Department of the Ohio and, according to his military records, never actually took command of the 5th KY Cavalry. The records from the 5th KY are responsible for some confusion among historians as they mistakenly state that Sanders was mortally wounded November 16, 1863 at the Battle of Campbell’s Station. Burnside had arrived in Cincinnati in March 1863 to take command of the Department of the Ohio. He had been instructed that one of his major objectives was the liberation of Unionist East Tennessee. President Lincoln had long urged the invasion of an area he considered important both militarily and politically. Burnside was forced to delay this invasion, however, when he was ordered to send the 8,000 men of the IX Corps to the aid of Grant at Vicksburg, leaving him only the newly formed and inexperienced XXIII Corps. In preparation for a future invasion, Burnside decided to send a cavalry raid into East Tennessee to obtain information on troop strength and disposition and, if possible, to disrupt communication and destroy the important railroad through East Tennessee. Chosen to lead this raid was Col. William P. Sanders. Sanders, knowing the grueling nature of the terrain before them, ordered a picked force: Fifteen hundred of the best men and horses from the 1st East TN Mounted Infantry under Col Robert K. Byrd of Kingston, 1st KY Cavalry, 2nd OH Cavalry, 7th OH Cavalry., 112th IL Mounted Infantry, 44th OH Mounted Infantry and two guns of the 1st OH Artillery. After the loss of 200 men and/or horses who proved unfit on the first leg of the journey, Sanders and 1300 of the Army of the Ohio’s best troopers crossed the Cumberland River on June 16th and began a trip deep into enemy territory. It was a trip that would cover 250 miles and spread terror and confusion among the Confederates in East Tennessee and Richmond. In concert with Sanders’ raid, a detachment of the 44th OH under Col. Sam Gilbert made a diversionary feint on Big Creek Gap east of Sanders’ route. This feint successfully drew troops from surrounding areas as far east as Cumberland Gap and as far west as Loudon. The Confederates believed the long expected Federal invasion was at hand. After skirmishing for a couple of days, the 44th retired back into Kentucky. 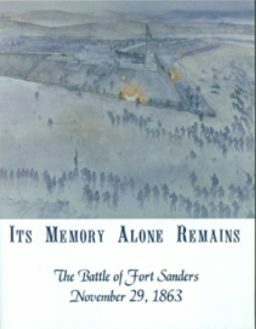 Sanders found his route clear until he surprised and captured a small force of approximately one hundred at Montgomery (1 mi. from present day Wartburg). From there Sanders moved on Kingston, but found it too well guarded. The impressive railroad bridge at Loudon was also to escape his capture and the torch due to Confederate troop strength and extensive earthworks. Lenoir’s Station (Lenoir City) was not so lucky. Here he captured a detachment of artillerymen and the railroad depot full of small arms, ammunition, supplies and provisions. The men were paroled and the depot set afire creating such a fireworks display that the rear guard hurried away to avoid shells bursting in the inferno. From Lenoir’s onward the real work began as the artillerymen tore down the telegraph lines by tying the wire to their caissons and dragging it away while the other troopers tore up sections of railroad track about a mile apart. The Federals arrived on the outskirts of Knoxville about dark on the 19th and drove in the Confederate cavalry–all 37 of them. This was the only cavalry left in the town. In spite of the fact that the feint at Big Creek Gap had drawn off the Knoxville garrison, a make-shift force of convalescents, civilians and a small detachment of infantry rushed in on the railroad from above had blockaded the roads with cotton bales and managed to mount eight guns found in the arsenal. The next morning this rag-tag force dueled with Sanders who knew that his time was limited. After a little skirmishing and an artillery duel of about an hour, Sanders moved on to his main objective–the railroad. Tearing up track and burning bridges, Sanders moved up to Strawberry Plains where he attacked the garrison, driving off part of the force and capturing over 100 men and five guns. As darkness descended, the triumphant Federals watched with fascination as the 1,600 foot bridge burned, it’s reflection “a ribbon of gold” in the water below. Then they succumbed to sleep–the only full night’s sleep on the raid. 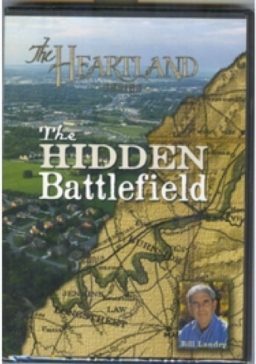 The next morning Sanders continued his railroad destruction on to New Market and Mossy Creek, but with cavalry closing in on front and rear, Sanders was forced to turn his command toward Kentucky. Although Confederates blocked his route on several occasions, Sanders managed to force his way through to Kentucky, telegraphing word of his success to Burnside from Boston, Kentucky, on June 23rd. At another time Sanders’ raid would have attracted more attention; however, at this moment, Lee and the Army of Northern Virginia were marching toward Pennsylvania, Grant was besieging Vicksburg, and Confederate Gen. John Hunt Morgan had begun his sortie north of the Ohio. Sanders had been upstaged. After only a few days rest, Sanders was sent to join the chase after Morgan, returning to cavalry operations in Kentucky after Morgan’s capture. Sanders served as Burnside’s chief of cavalry for two months until he was superseded by Gen. James M. Shackelford. Sanders was given command of a brigade and then a division of cavalry. He was promoted to Brigadier General on October 18, one month and one day after his thirtieth birthday. With the return of the IX Corp after the capture of Vicksburg, Burnside was able to begin the long deferred invasion of East Tennessee, arriving in Knoxville with the infantry on September 3rd. Sanders and his command were soon doing picket duty along the Little Tennessee River. During this lonely assignment, Sanders sent a poignant request in to headquarters: would there be any objection to Sanders writing a letter to his brother in the Confederate service and leaving it where it would be found by the Rebel cavalry to be forwarded? Sanders found time during his East Tennessee sojourn to socialize. The attractive young bachelor met a cousin of notorious Confederate spy Belle Boyd. Sue Boyd’s family had played host to Belle during her visit in January and February, 1862, but evidently the young lady known for her enchanting voice overcame her Confederate sympathies and enjoyed the company of the charming Federal colonel On the night of November 13th a portion of Sanders’ command was surprised near Maryville by approximately 4,000 cavalrymen under Confederate Gen. Joseph Wheeler. Wheeler’s objective was the capture of the heights south of Knoxville while Confederate Gen. James Longstreet approached Knoxville on the opposite side of the Holston (now Tennessee) River. Although severely outnumbered, Sanders and his troops skirmished stubbornly, digging in and burning bridges, delaying the Confederates. Cavalry reinforcements arrived enabling the Federal cavalry to delay Wheeler until the heights above Knoxville were reinforced. When Wheeler finally approached Fort Dickerson, he realized an attack on such formidable heights would be too costly in both time and manpower and broke off the attack after exchanging a few shots with the artillery. With the approach of Longstreet from Campbell’s Station on November 17th, Burnside gave Sanders the task of delaying the Confederates while fortifications were being dug around Knoxville. Sanders’ command skirmished along Kingston Pike finally choosing to make their stand on a prominent hill about a mile from the entrenchments. Sanders and about 700 cavalrymen and mounted infantrymen built breastworks of split rails from fences—the only material available. Longstreet’s approach was tentative as he felt for the Federal defenses. After dark when the firing had died down, Sanders was called to Burnside’s headquarters where the General asked if his command could hold the enemy until noon the next day, thus giving the Federals time to extend their earthworks. Sanders assured Burnside that he could. After the meeting, Sanders and his classmate Engineer Orlando Poe talked well into the night and it was decided that Sanders would not withdraw at noon but hold on until actually driven from the field. The two friends then shared a blanket until just before dawn on November 18th..
Sanders was as good as his word. Attack after attack was made on his position–mostly by Gen. Joseph Kershaw’s South Carolinians, but Sanders’ men clung tenaciously to the hill. When the men wavered, Sanders strode to the rail breast works and stood, fully exposing half of his six foot plus height to the enemy fire. The shamed men returned to their positions. Longstreet had been loath to use scarce artillery shells on such an unimportant target, but around noon, he decided that only a combination of artillery and infantry assaults would dislodge the stubborn troopers. Col. E. P. Alexander was ordered to coordinate his artillery and the infantry attack. Only later did he learn that the commander of the force he was attacking was his friend, “Doc” Sanders. The combined attack proved to be too much for the exhausted Federals and they began to break about 2:30 in the afternoon. As Sanders and his staff turned to leave the hill, Sanders was struck in the side. He was carried to the Lamar House hotel with what proved to be a mortal wound. General Burnside and several fellow officers gathered at his bedside after nightfall, but were informed that he could not survive. 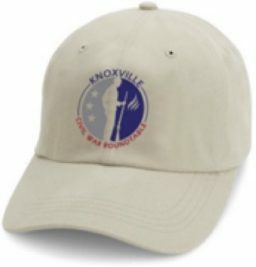 Note: This article was originally published in PDF form on the Knoxville Civil War Roundtable website. It is re-posted here as a post, which makes it more accessible to viewers of the site.